The Zojirushi NP-NVC10 is a 5.5 cup (1 liter) capacity rice cooker. It measures 15.4 x 10.1 x 8.6 inches and weighs 13 pounds. This rice cooker is unique as it is known for its ability to think. Sarah and I received a rice cooker as a gift one year, and we certainly do love it, but it is nowhere near as advanced as this feature rich, smart rice cooker. With these added features comes added expense, this one has a big price tag. But is it worth it? Find out if this is the right rice cooker for you. Rice is always on the menu at our house. It’s certainly one of our must have staples. If you ever wondered who bought those gigantic 20lb bags of rice at the grocery, it’s people like Sarah and I. We absolutely love rice. And though we are die hard rice lovers, we certainly aren’t “experts”, this rice cooker makes me realize that we’ve only scratched the surface when it comes to rice. This rice cooker actually adjust the cooking cycle according to your cooking habits. This is an amazing feature because the rice cooker actually learns from past rice cooking experiences. For example, rice cooker performance can vary depending on environmental factors. In lesser machines the rice consistency can change season to season. The Zojirushi NP-NVC10 automatically adjusts its settings to get you consistent results regardless of environmental factors like outside heat and humidity. The platinum infused nonstick inner pan helps the rice absorb water more easily, this results in better tasting rice. The claim is that the platinum causes the water to become alkaline which helps break down the proteins on the rice surface. Rice varieties in olive wood spoons over hessian background. Wild, sweet, risotto, american, brown and white rice left to right. The Pressure induction heating technology uses heat that is electromagnetically generated. While other rice cookers use a bottom heating element, with the Zojirushi NP-NVC10, the entire pan becomes the heating element. The heat is generated through the entire rice pan surface rather than by an external source. This means that your rice cooker pan will heat up faster and more evenly. Temperature control is more precise using this method compared to other rice cookers that don’t have this technology. The pressure aspect allows the rice cooker to reach temperatures that it otherwise wouldn’t be able to. You can cook 2 cups of white rice in under an hour, and 2 cups of brown rice will take about 1 hour and 20 minutes. Even the lid on this rice cooker is smart. Amazingly, this rice cooker keeps track of how many times the rice cooker was opened and for how long. It then calculates the ideal temperature and time needed to keep the rice serve ready. This lid even detaches for easy cleaning. You can check out all of the different types of rice you can make with the np-nvc10 rice maker here. The most impressive rice type is the GABA rice setting. 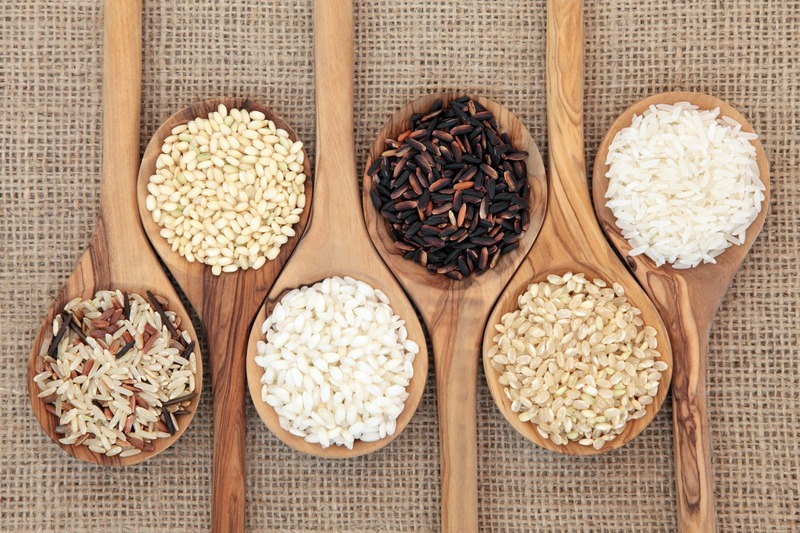 GABA (gamma-aminobutyric acid) brown rice is an amino acid that is believed to have health benefits that include relieving stress, improved kidney function, and lowering blood pressure. The GABA properties are activated by soaking brown rice at 104 degrees for 2 hours prior to cooking. I love brown rice, but it takes a really long time to cook and it’s pretty tricky. This rice cooker takes the guess work out of making brown rice. You just set it and forget it until the “ready” beep sounds. To the Japanese, “Umami” is thought of as the 5th flavor. It means “deliciousness” or “good tasting”. The Umami setting on the Zojirushi NP-NVC10 works by pre-soaking the rice longer than it does on the white rice setting. This added soak time releases sugars into the water. When the cooking starts, the sugar is reabsorbed into the rice giving it that subtle “deliciousness”. You can even make “scorched” rice. This setting lightly toasts the bottom of the rice giving it a “nutty” flavor note. Cook brown, gaba, white, sushi rice, etc. Zojirushi NP-NVC10 : What Do The Customers Think…? There are lots of customers that offer there high praises for the Zojirushi NP-NVC10. This is certainly appears to be a high quality product. Zojirushi makes very high-quality products. As cliche as it may seem, the Zojirushi brand is like the Mercedes Benz of the rice cooker world. There were some customers that weren’t satisfied with their purchase however. I took a look at the negative reviews to check for patterns. I didn’t find anything that changed my opinion of this machine. One or two instances of a problem isn’t a strong indication of a systemic durability issue. But to give you an example of some of the issues that I came across a report of the unit dying after just a few months. In my experience, high-end products are rated much more harshly than lower-end ones. To me, that speaks volumes. There a a lot of customers whom are happy with this rice cooker. In my opinion, the Zojirush NP-NVC10 is one of the best Japanese rice cooker on the U.S. market. It has features that I didn’t even know existed or were necessary. And apparently, the rice cookers on the Japanese market are even more feature rich. But this rice cooker is high-end and certainly cost prohibitive for many customers. 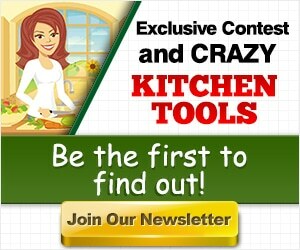 If you are simply looking for a rice cooker for plain white rice or occassional use, then save your money. This rice cooker is for the frequent rice eater that appreciates the nuances of rice prepared in different ways. However, to the average rice eater, it probably isn’t worth the additional upfront expense. 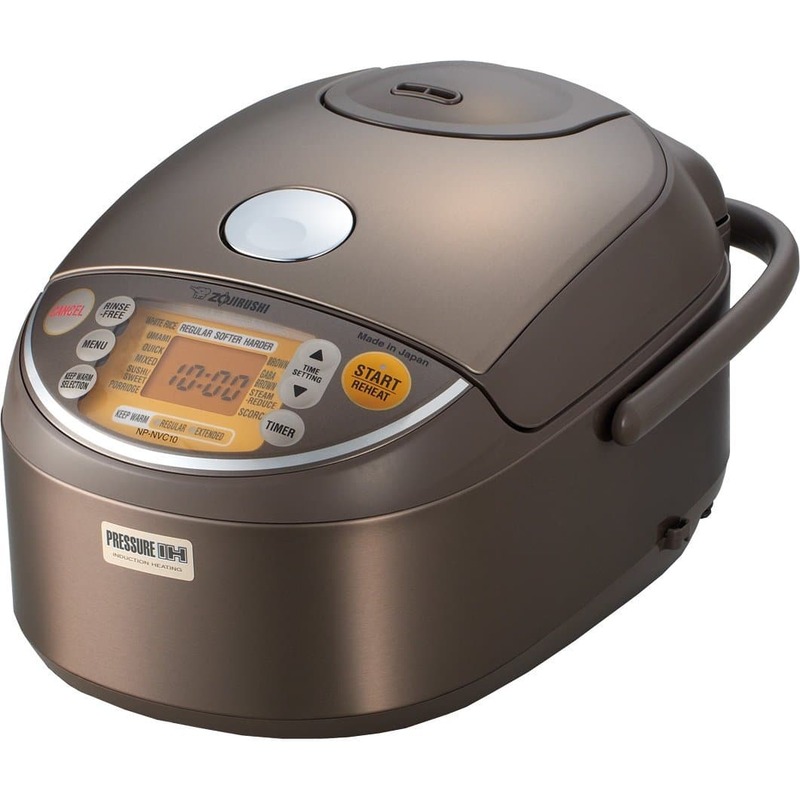 But, if you frequently eat rice, and can afford it, this rice cooker seems almost other worldly.